Oh my, you be careful on that bridge! Seems the "disasters" have been a few too many this past month or so with the tornado's, flooding, etc. Our area was hit with the tornado, and I know that loss is loss, but our area was so blessed with donations, help and assistance, that we started donating to a town about two hours away from us. I took a truck load of items this past week-end to them, and their town is something like you would see on a horrible sci-fi movie. I know the assisted living resident's enjoyed what you did. I am a nurse and have a long history with nursing homes, and the resident's LOVE activities like this. It is the only thing that some have to look forward to. I feel so sad for the farmers especially. Such a hard way to earn a living but so important to the whole world. Have a safe trip! My heart aches for all the people in our home state of Louisiana and the surrounding states...seems like one thing after another...I guess that is why folks are called "steel magnolias"
Thanks for the tips on shutterfly. Have been looking for exactly this sort of thing and its nice to know that others are happy with their services. Have a fabulous week. I love your blog header! It's beautiful. I'm headed to Atlanta for my first time ever on Thursday! A friend is getting married and I'm so excited for the opportunity to visit the south. I'll bet Name that Tune was fun! You look right in your element there. I also love me some Shutterfly! Can't wait to try out their new books. I got an email that they are having a $10 off promotion. Maybe I'll have to get a book together and see. All the flooding is just terrible. Especially when it comes to choosing between one place or another. May you have safe travels! It sounds like you're in store for fun! Photo books are awesome! And filling it with your cruise trip sounds like a no-brainer! 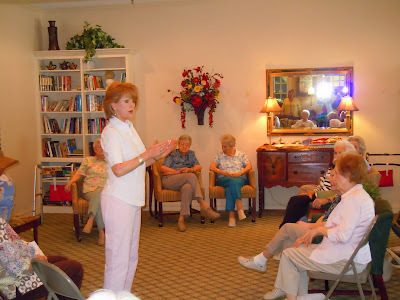 How sweet of you to go with WOM (great organization, btw) and sing to the elderly. I know that was a blessing for you and them! The farm lands in southern Illinois and southern Missouri are dealing with what the Louisiana farmers are going to have to deal with. I understand that sometimes difficult decisions have to be made, but when you think about how these farmers often are barely able to eke out a living and when you think about how long it will take to get their land fit to farm again, it's just so sad. 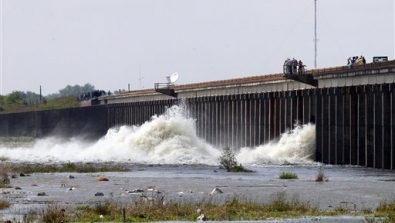 I'll be praying that this flooding will allow the Mississippi levels drop enough that you will have safe passage on that bridge. I'm so glad that you won't have to wait too much longer to see your sweet daughter and your sweet grand ... I'm sure it feels like it's a long time, but it will be here soon. I know you can't wait! The flooding has been devastating for so many. I especially feel for the farmers who have lost their source of income. I pray for safe travels for you! So thankful your daughter and her family have found a house. Hi! Just wanted to say thank you for always leaving encouraging comments on my blog. So sweet of you! Lovely post, Lea. 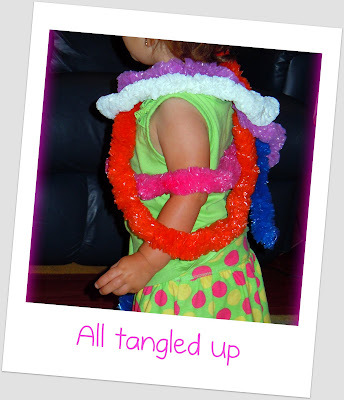 I love the picture of you at the sing-a-long. There is such beauty and joy that radiates from that moment captured. Thank you for sharing you. Your #3 has me in tears. I love your heart. LOVE LOVE LOVE YOUR HEART!! My heart is breaking. Between the tornados and flooding...I am praying for a miracle soon! I hope your Monday has been nothing but blessed! 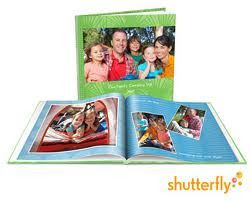 i have always wanted to try a shutterfly book. i've got those hawaii pics to do something with. that may be just the ticket!